Well, I can’t exactly say, but what I can tell you is I’ve developed a couple of exceptional recipes along the way. Of course, when I say “developed”, take that with a grain of salt. Yes, some I’ve hatched from scratch, but some are a compilation of several other recipes that I’ve modified to suit our tastes or what I have on hand. I’ve been playing with my electric pressure cooker quite a bit lately. It does make life easier when I can crank out “roasted” chicken for recipes and a batch of Rich Chicken Stock all in the same afternoon. I took advantage of all that chicken in a couple of recipes, both for the table and the freezer. 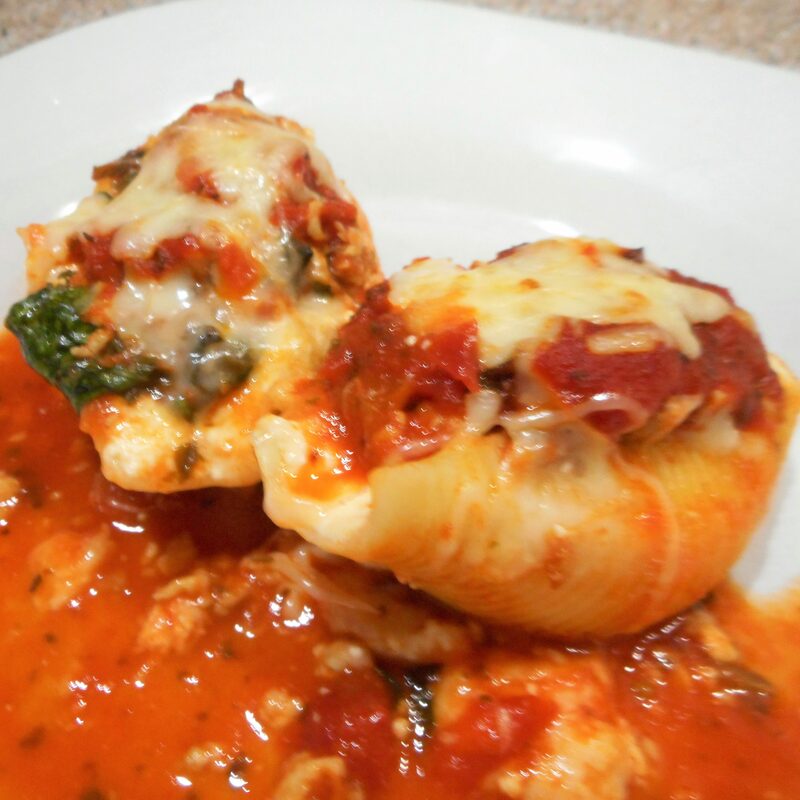 The first of those recipes was Chicken Stuffed Shells Florentine. 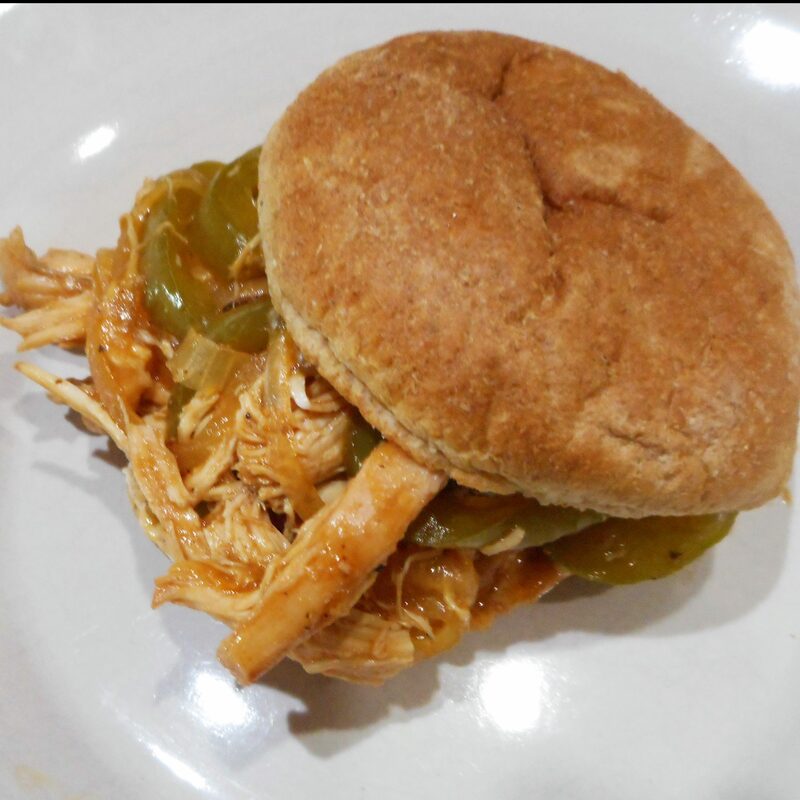 While I visualized the recipe calling for ground chicken to be spiced with Italian Sausage Seasoning, I started with my pressure cooker shredded chicken and added the spice blend after the fact. That method was acceptable, but I think the chicken would have carried better flavor if I had stuck with the original ground chicken plan, seasoning the chicken as it cooked. Kicked Up Chicken Enchiladas got a little boost with the addition of some steamed broccoli. I know, it sounds a bit strange to add broccoli to a dish of Mexican origin, but it was quite good. Those enchiladas are on the spicy side to start with, but the broccoli added a little something to keep them from being just so plain. I should have dipped each corn tortilla into the sauce to soften them before filling, but frankly, I just forgot to write that common procedure into the recipe. Because I didn’t do that, all my enchiladas cracked open. I’ll have to write that step into the recipe… Lesson Learned. The last of the pressure cooker chickens didn’t go to waste either. There was just enough left for a batch of Baked Chicken Salad. That recipe was given to me years ago by an old friend, Linda Keen. The original recipe called for water chestnuts, but Michael doesn’t care for those, so I substitute diced red bell peppers. Take your pick. This recipe is an excellent excuse to buy a bag of potato chips! You’ll need them for the topping, but it’s kind of like when a recipe calls for wine. You don’t need the whole bottle of wine for the recipe, so what do you do with the rest of the bottle? Well, what will you do with the rest of those chips? 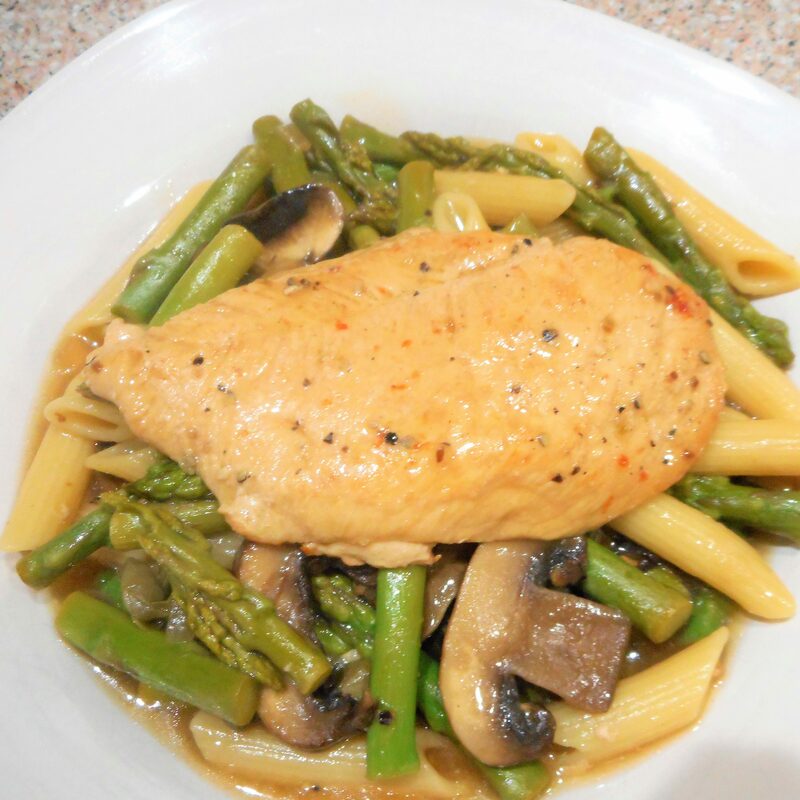 Rounding up the wonderful world of chicken was a new recipe, Mushroom Chicken Piccata with Penne and Asparagus. Oh My, is that stuff ever good! It may just be one of my new favorite springtime dishes. I know asparagus is now available year-round, but to me, it’s just different in the spring when it hasn’t been shipped up from Chile or where ever, so to me, fresh asparagus + lemon + chicken = Spring! No, we haven’t just eaten chicken all this time, those dishes just seemed to flow together for this post! It’s been so long, I could’t possibly bore you with all we’ve had on the menu lately. 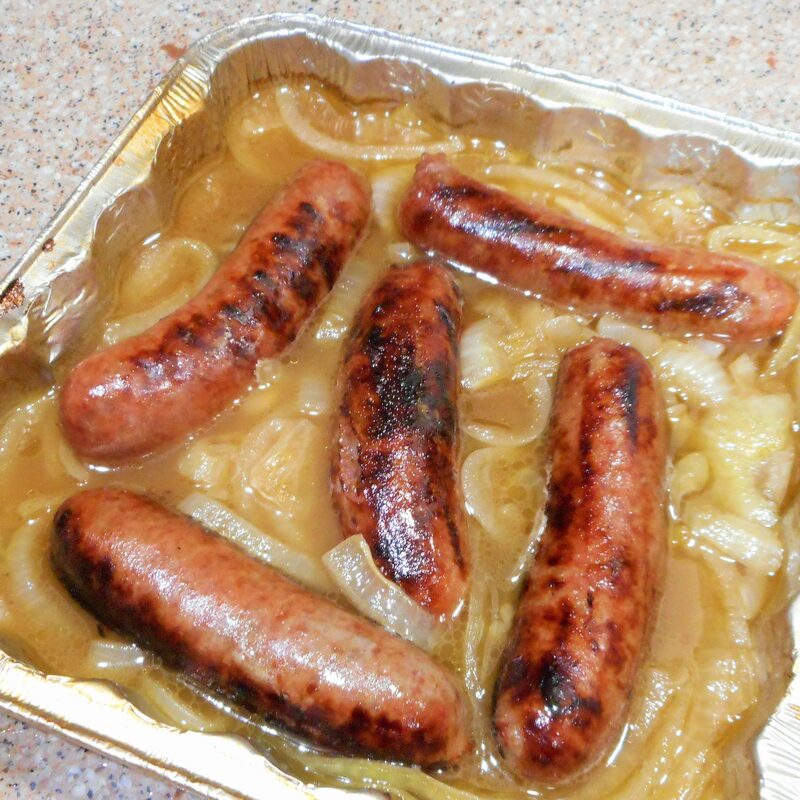 Now that grilling season’s rolling around again you might want to think about setting up a Brat Tub. We did recently, and then we knew for sure that summer was on its way, at least in Alabama. We always grill the whole package of brats and throw the extras in the fridge for lunches later in the week. If you’re lucky enough to catch a good roast on sale Perfect Prime Rib is a treat we usually reserve only for holidays and special occasions, but who can argue with $4.99 a pound? The next day’s French Dip Sandwiches can’t really be called “leftovers” can they? 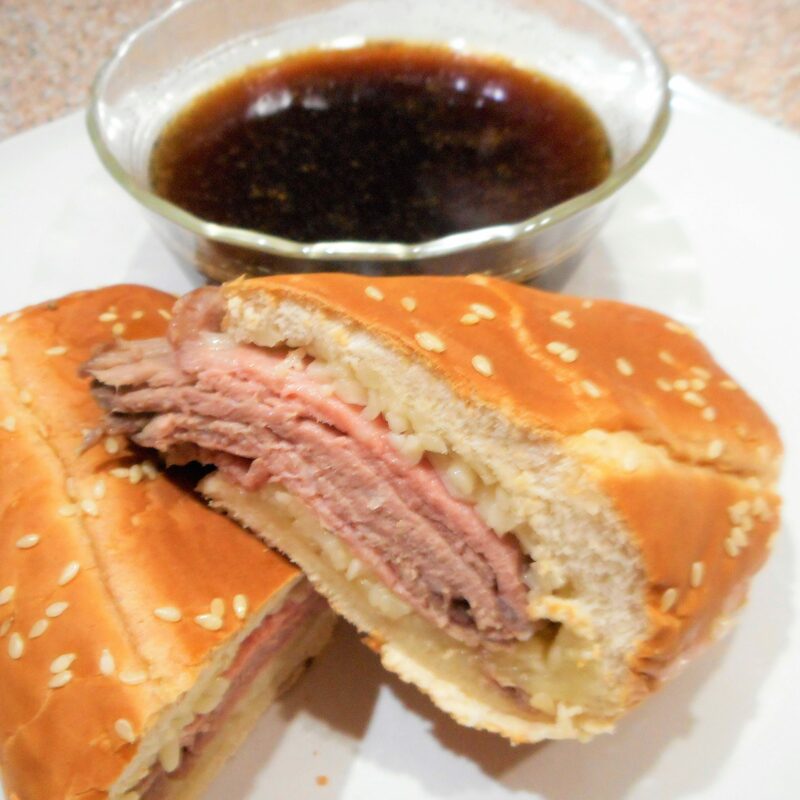 Don’t forget to make True Au Jus with that roast so you’ll have something to dip those sandwiches in. The thick piles of thinly sliced roast will just melt in your mouth. Pork didn’t get left out of the picture this past month, either. Boston Butts went on sale for $.99 a pound! That just screams smokey Pulled Pork Barbeque. The only problem with that recipe is it makes enough to feed a small army, more than Michael and I can possibly consume, even allowing for leftovers. There I go filling the freezers again. 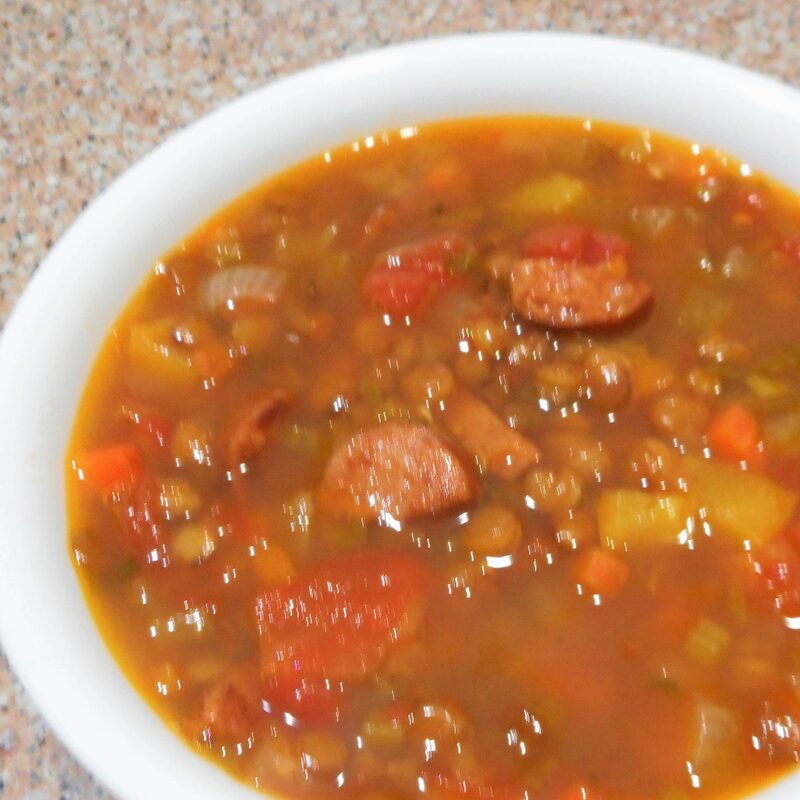 Loaded Lentil Soup was a warm and filling Meatless Monday menu item, although I did cheat just a bit by sneaking in a little andouille sausage to start the pot off. That Cajun sausage packs so much flavor! A little goes a long way, so while the soup was technically not meatless, meat was not the main protein. Who’s counting? Sometimes it’s the thought that counts, right? With Easter coming I’m on a new quest…”The Search for Sensational Sides”. 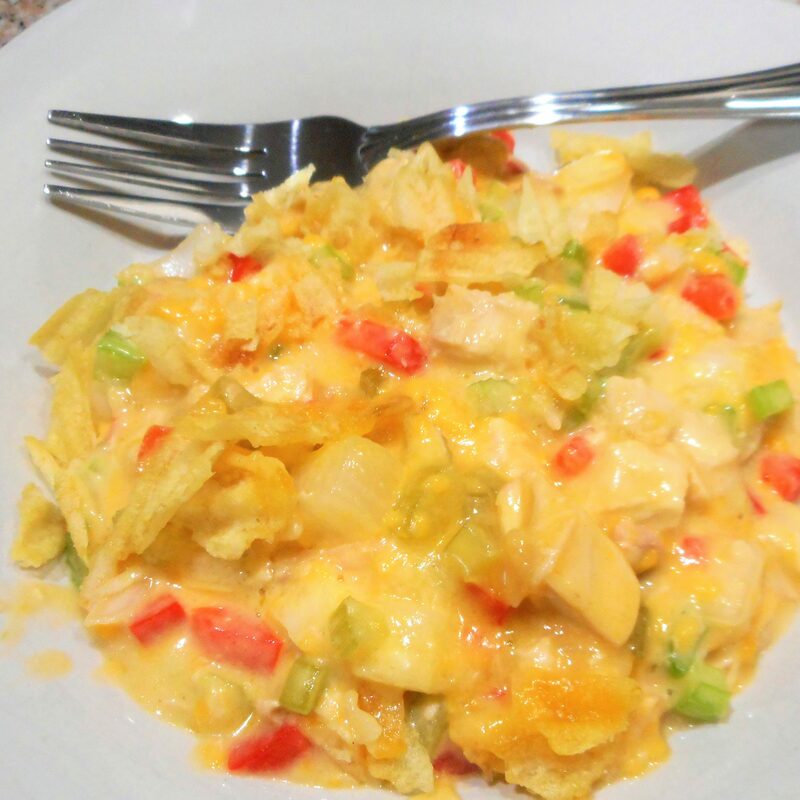 It seems that every year it’s the same old thing with the Easter Ham: Mashed Potatoes, Green Bean Casserole, Deviled Eggs, and maybe my favorite but fattening Broccoli Casserole, and on and on. You get the picture. While traditions certainly have their place and I can’t just ditch them all, I’m in search of something new. Maybe not all at Easter Dinner, (children need roots), but mixed in, some then and some to add interest to that leftover sliced ham another day. Hmmm, a new challenge. I need that! Check back! 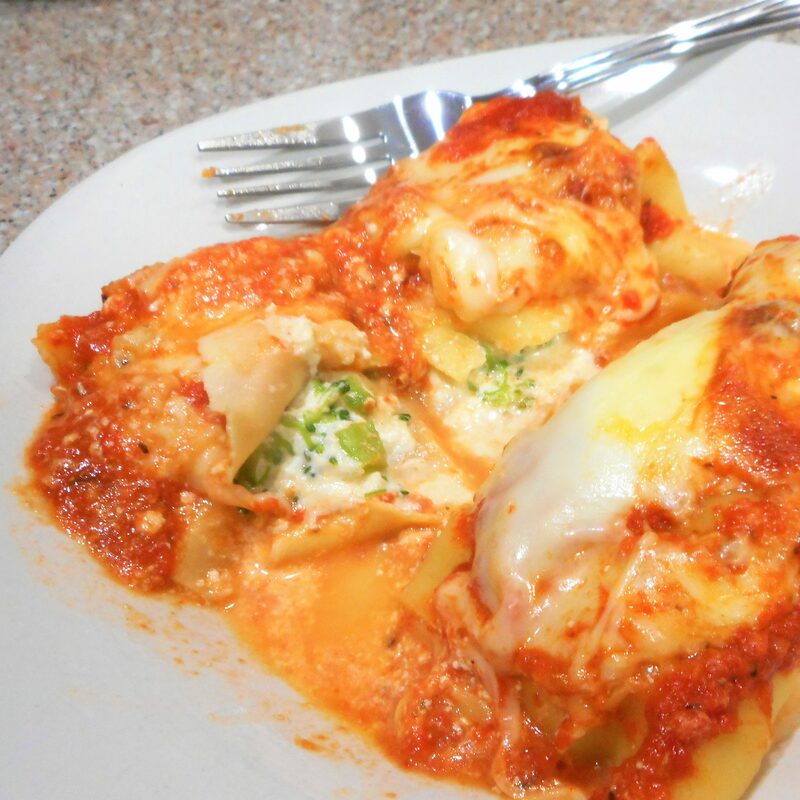 This entry was posted in Uncategorized and tagged chicken, comfort food, food, holiday, leftovers, menu planning, recipe ideas on April 5, 2017 by lizziesmom2012.